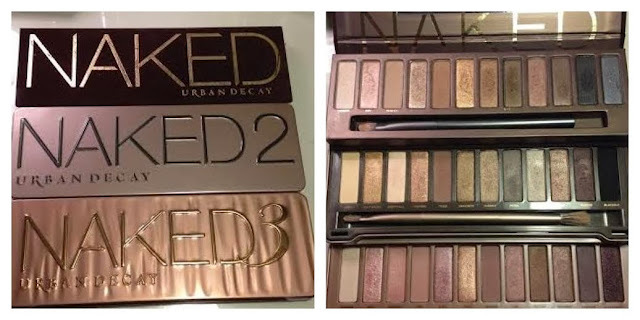 I got my hands on Urban Decay's much anticipated Naked Palette 3 within days of its release. I have used it almost every day to figure out my favourite combinations. Ever since those first internet rumours surfaced about the imminent release of a new Naked Palette I was hooked. A blogger bought one in Sephora in France as they had allegedly put the stock out too soon and Urban Decay were still denying all knowledge. But the palette pictures and swatches were springing up online and the frenzy started. I was stalking release dates and as soon as the palettes appeared online at Debenhams I swooped and even bagged a 10% beauty offer discount (I can't help but wonder whether they had inadvertently included it in their beauty offer, as the discount disappeared pretty quickly after I tweeted about it). I often buy my beauty products online from Debenhams as I have one of their Beauty Club Cards. This gives you free delivery and you accumulate points towards discounts off of future purchases. Our local store doesn't stock many premium brands, so online is the better option for me, especially now they have finally improved the scheme so you can redeem points online and not just in store. The Naked Palette 3 is focused on rose gold and pink shades where as the original Naked Palette was warmer browns and golds and the Naked Palette 2 was cooler tones and taupes. 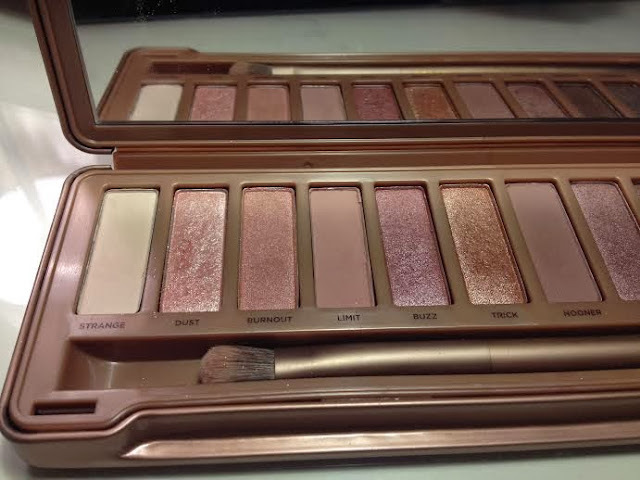 Like the Naked Palette 2, the Naked Palette 3 has the metal tin which clicks shut. This is so much better than the flocked cardboard packaging the first palette had. If I'm going away I never take the first palette for fear it will come open and smash the shadows. Inside there is a large mirror so you can apply your make up on the go if necessary. The Naked Palette 3 also has a double ended brush for application and blending, although I prefer to use my own brushes as I find those in the palettes a bit synthetic and stiff. 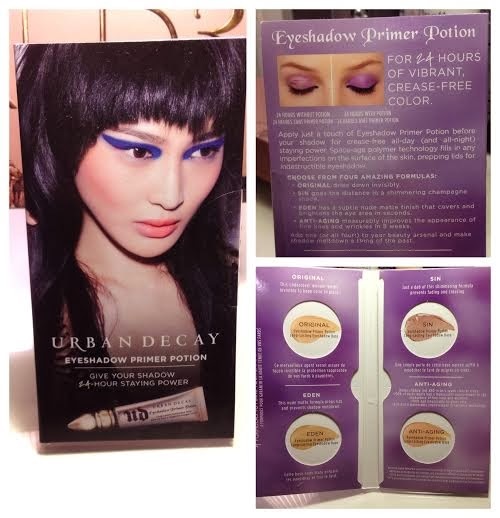 The Naked Palette 3 also comes with a set of Urban Decay's Primer Potion samples in Original, Eden, Sin and Anti-Aging. I already have the full size version of Original, which I bought as I loved the sample that came with the first palette so much. The Primer Potion prevents eyeshadow from creasing and increases wear time. I am looking forward to trying the others but as the sachets aren't resealable I've been saving them. This is another great offering from Urban Decay, I have been taking my time to try out each shade and experiment with how they can be worn together. The paler colours on the left of the palette really allow you to create pretty everyday looks but the right hand side lets you change it up and create a great smokey eye. I have been reading and watching other bloggers' tutorials for inspiration and my favourites so far are Viviana Does Make Up's 3 different looks HERE, and Lily Pebbles tutorial focusing more on the smokey eye using the right hand side of the palette (see HERE). My only disappointment with the palette is the lack of a deeper pink/red/brown crease colour. I have recently developed a little crush on MAC's Cranberry eyeshadow and hoped there might be something similar in here for me to experiment with. Seeing as I already own the first two palettes I can't say I really needed this one, but we all know it has nothing to do with need... But I have no doubt that I will fall over myself to buy the next Naked Palette should there be one. I must admit I quite fancy a peachy toned palette. Ahem - are you listening Urban Decay....? 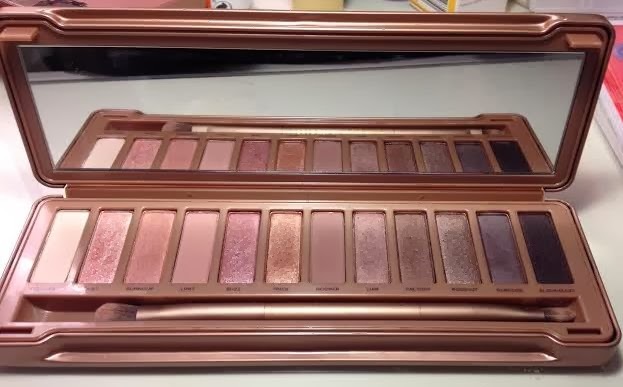 You can find the Naked Palette 3 at Debenhams for £37 HERE. 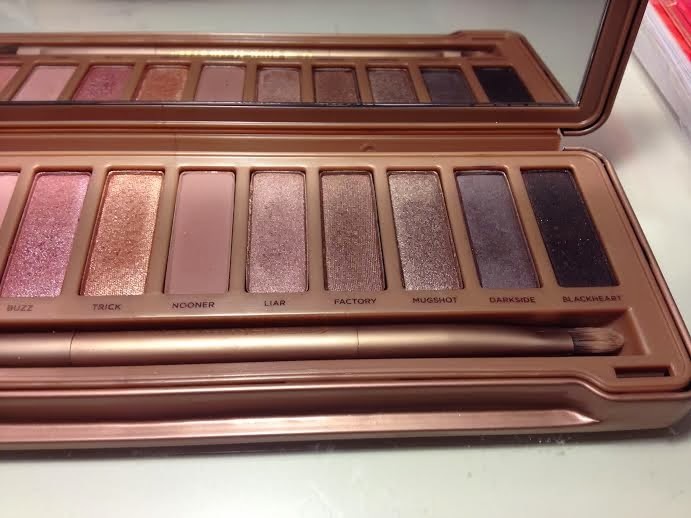 A peach-toned Naked palette....that's EXACTLY what I was thinking too! !